The Campbell interview came about because TV3 had received 1500 requests for me to come on the show, from Christchurch residents anxious for information. These were clearly not people who wanted to experience fear, but folk who wanted to prepare. Accordingly, I had information intended only for their ears. Campbell approached me, as did Marcus Lush. These were the only two interviews ever done about earthquakes and the media had approached me both times. It is not, as some seem to think, the other way around. Furthermore, I have not spoken to any media since 28 February. That has not stopped media from inventing stories that carry my name and mock-up TV shows with old footage in my absence. The charge that I have used the disaster for my own publicity is nonsense. I undertook not to speak to any media from 28 February onward and I have remained true to this. The reports have all been fiction, including that I once read cats paws for a living (The Dominion), or that I sell earthquake predictions for a living (Karen Hay, RadioLive). I was offered 5 mins of unedited time each on Campbell Live and then on Close Up, and invitations to write editorials for both Herald-on-Sunday and NBR. There were offers from RadioLive (to be in the studio with Willie and JT), RadioNZ, and for unedited articles and interviews for NZ Herald, Dominion, The Press and the ODT. There were overseas requests, from Japanese TV, John Laws Show (the Leighton Smith of Australia), and Australian ABC Regional radio stations. Despite the offers of millions of dollars worth of free exposure it is completely provable that I declined every single offer, because it goes against my grain to milk a tragedy for one's own publicity purposes, for one's own ratings. I cannot stop the media from doing that using my name, but I have neither sought nor sanctioned it. And I had the producers of both TV major channels ringing me every day, pleading with me to change my mind. After the Campbell Live interview there was a huge amount of abuse directed at John. I, too, felt unhappy and frustrated that an opportunity was missed to give Christchurch people some information about the lunar pattern that I thought was ongoing. I would have liked to lay out what I thought was important information, so that viewers could make up their own minds and decide for themselves what to do around particular dates, if anything. It seems that much of the public abuse towards Campbell post-interview may have come from people who had formed a dislike of John over many years anyway, and this may merely have provided an excuse for them to vent that dislike. So perhaps some of the abuse he received may have been unjustified, and it could be argued that John's style, like Paul Henry's, was encouraged by his network management. Either way, Campbell's interview started the media frenzy. Campbell himself could not leave the matter alone, creating daily programmes depicting me as the monster who terrified a city. Whatever apology he remotely imagined he delivered on the second day was quickly replaced by vindictiveness for the rest of the week. This was needless personal persecution and odd coming from someone who at the same time was advocating a public campaign to stamp out bullying. I have taken much flak, from the media and from members of the public who were whipped up by the newly Americanized NZ media. I have had a lot of grateful mail but also hateful mail, and this has been a severe strain on my personal life. It has been eye-opening to realise what media are now prepared to do for ratings. There has been no desire to discuss the lunar theory in a calm objective way, when even overseas studies have been so well documented, and even NZ scientists grudgingly admitted that "small" correlations between moon and earthquakes do actually exist. So where was the public debate that asked what the cut-off point is? Personality became news and not information, and witchhunting was more appealing to readers than an earthquake watch. Personally it was devastating to be made the whipping boy in a media circus that plied more fears onto an already stressed community. An event such as the 6.3 with such appalling loss of life puts an immense structural strain on a city and country. Part of that strain was channelled by the media into a fiery beatup. The politicians and scientists fuelled it for their own reasons. The country became divided into two camps, one supporting a person's right to express opinions as far back as 6 months about earthquake events, and the other camp blaming that person for causing their stress and fear of earthquakes. I do not want that to happen again as I think it is destabilising for a community. As there are no moral controls on media it is too dangerous to be available to them in any capacity, when folk who are trying to manage loss are at the same time subjected to a public Nostradamian inquisition. It is to be hoped something has been learned from this on all sides. Sometimes it takes a natural disaster to reset a community’s journey. In this country we do not have the long and catalogued history over hundreds of years of conquerings, disasters, massive political upheavals and revolutions that have shaped the characters of other communities. We are still a young nation and relatively unprepared for disastrous events, let alone a series of them, logistically and emotionally. Despite our rugby image, the NZ psyche seems to have sharp edges that knock and bruise easily. Perhaps a nation's tolerance levels only become rounded after several generations endure the crippling effects of the elements. Sean Plunket, a prominent radio personality, is said to have commented at the Skeptics Lunch that free speech was okay as long as it was informed, accurate and reliable, sentiments echoed by a Cabinet Minister and a top scientist. That seems to be to be a perfect definition of non-free speech. Is this the path along which our democracy is now heading? I said it because 20 March was the closest moon in 19 years and wouldn't be as close again til 2016. A few days before, Japan had its biggest tsunami in all its history. The date was always going to be destined for the history books. Perhaps future science history books might note the 4+ earthquakes that occurred artound lunchtime in Twizel, previously dormant for the past 3000 years. 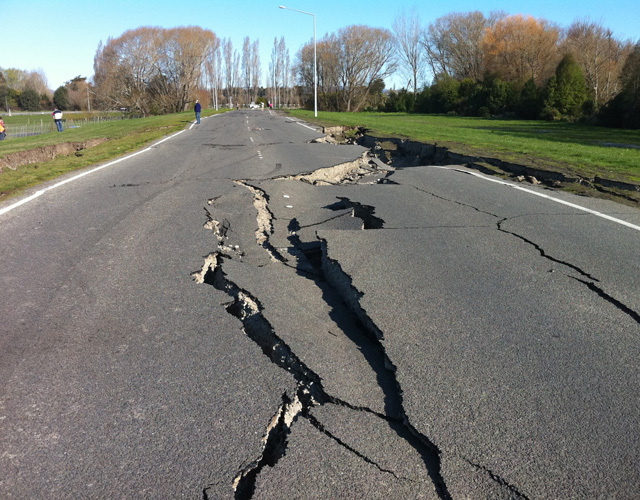 There may have been people relieved not to have been in Christchurch to feel the 5.1 on that Monday evening. Some Twizel residents have said it felt greater than the 7.1 on 4 September, and a screenshot of the drum displayed it as a 7 before it was downgraded. It was felt as far away as Dargaville. The mainstream evening news did not report that there were three significant earthquake jolts in the Twizel area earlier that afternoon: at 1:10pm (4.6 at depth 8.6km), 1:33pm (4.3 at depth 5km), and 1:34pm ( 4.3 at depth 5km) time periods, and given daylight saving, some might say close to the initial suggestion of ‘around lunchtime’ and possibly close enough to Christchurch to be considered a correct prediction. Apart from reported damage to one dairy there appear to have been few if any other buildings demolished, but most that might have been at risk were probably already down from previous earthquakes. The 5+'s came in on the kingtide day as suggested 6 months ago and at low tide times, being lunchtime and evening. The unexpected series of quakes in a fault line unmoved in 3000yrs may have been nature's way of discovering a new weakness in the earth's core/crust around the same location as the other earthquakes over the past 6 months. They were earthquakes because aftershocks don't arrive after 3000 years dormancy. Also there were more than one 5+ (Kermadecs, Bay of Plenty(2)), and they occurred over a wide area from the Kermadecs to Twizel. If people do not want to align these events to the theory I am discussing then that is entirely their choice. Others may think that when suggestions made 6 months ago about what might occur, actually occur, it may be something more than coincidental. This is the real prediction process, not proclaimed by some prophetic figure in a hat and flowing cloak as portrayed by the media, calling doom and destruction from the mountaintops, but made by the people themselves, sufficiently armed with patterns, with hindsight and with observable facts. I test myself all the time, as others should. And I have concerns about continuing earthquake activity in this small region, as others should. Recently on open forums we have seen the odd scientist break away from the mother pack, and concede that there is a lunar link. As to whale strandings beforehand as a precursor, there was a significant stranding at South Bruny Island (remote beach area) on the South coast of Tasmania which was observed on 18th/19th March. Google mapping that location shows that this 'as the crow flies' line of flight path crosses right through the (north area) of Christchurch. Zooming out from both map locations it is easy to see quite clearly the juxtaposition of where the whale stranding was vs Christchurch and could have pointed to the likelihood of an event of some kind in the mid South Island on 20 March. At present there is no science that verifies this. Marine biologists still believe that whale strandings and earthquakes or full moons are merely coincidental, despite Japanese studies that point to ancient folklore that used whale strandings to prepare a population for earthquakes and evacuated huge populations. But there is also no science for earthquake prediction. The science we appear to have is to declare when earthquakes will not occur. We have to start somewhere, and science starts with observations. All I have ever offered has been an interesting correlation between astrological factors which may have the increased the propensity for bringing earthquakes if a series of other pressures also exist. In this time-frame the factors were Sun, Moon, and Jupiter/Saturn angles. But this was taken a giant step further and I was labeled an earthquake "predictor", which is what I am not, and it is where I believe the public issue lies. But it is not my core business, I have never made a cent from it, and I do not claim to be able to predict earthquakes. The actual impact of an earthquake depends on lots of factors such as where, when and how close to the surface it is. Propensity and magnitude is only one factor, as has been shown by the impact to life between the Sept 7.1 quake vs the Feb 6.3. Spending two minutes on Google will show that overseas studies are well advanced linking lunar and seismic activity. A correlation is there, of solar activity combined with unusual moon-closeness between February-April of this year, to bring about extreme events in nature. The moon was at its closest for 19 years, beginning a week before 20 March, and Christchurch and Japan have shown what can happen when this occurs. The only use in predicting these timings is so that people might get themselves kitted up beforehand, and this has been achieved. I had no desire to cause panic or stress, only preparedness. What have I learned? I have learned that suggesting future earthquake timings is helpful to some, but can be taken the wrong way by others. A way must be found to speak only to those who wish to know. We must rethink how we answer questions in future, so that the money-and-ratings-mad media are kept away. Because of the expressed public disgust of Campbell's behaviour, it could be expected that media may have learned to tread a little more respectfully. But then came the Darren Hughes case, based on Chinese whispers, which replaced the witchhunt of me. Of course we must stop talking to media about potential earthquake timings. It will not prevent us talking about the lunar theory in a general way for those still interested in understanding this complex science. Neither will it stop postings to our own website as we have been doing for 15 years. There are still offshore websites predicting possible timings (and locations and magnitudes) of earthquake events for NZ, run by scientists who are also using astrological/lunar indicators, and yet oddly they are not labelled scaremongers. There is the 'thebarcaroller' website, Amit the Indian scientist, Richard Nolle, Piers Corbyn of the UK's WeatherAction, and various psychics. Perhaps a privately subscribed email group is the answer. Many people of Christchurch still need hope and support. Six months after the 7.1 some households still don't have toilets. The media might give thought as to how they can assist, because thus far heads should hang in shame that a moral compass is lacking. Smear campaigns and finding scapegoats never rebuilt a city. But tolerance, quiet understanding and levelheadedness but above all, information, would go a long way. No one, least of all me, wants residents to abandon Christchurch. It is a fine city and will be so again. But it will take community, and commitment to the common cause.